I always love the blended taste of fish sauce and lemongrass in Vietnamese food. Lemongrass marinade is always so flavorful and has a combination of salty and sweet, mind you it is pretty irresistible!! This is a pretty simple Vietnamese dish which I am sharing here and it is great for those who want to have a quick dish prepared. 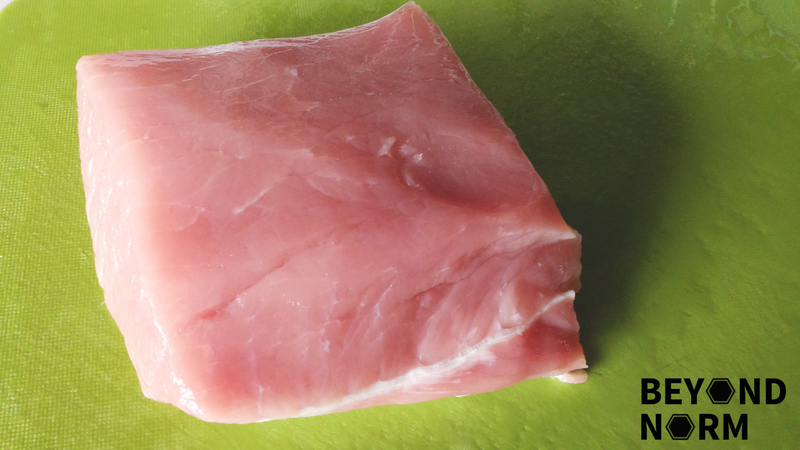 As the pork loin is thinly sliced (4mm), I only need to marinade it for about 20 to 30 minutes and I prefer to pan fry the pork instead of grilling them. However, here is a word of caution, YOU NEED TO WATCH THEM LIKE A HAWK! The marinade has some honey in it so they might burn easily if you overcook the meat. If you love Vietnamese food, don’t miss out on all our recipes, join us via our blog or come by to our Mummy’s Kitchen Facebook Group. You can like us on Beyond Norm’s Facebook Page or subscribe to our blog via the right side bar to get the latest updates. We also love to hear from you so once you have tried this recipe, we hope that you could provide us with some feedback/comments either via our blog. Slice the pork loin into 4mm thick. 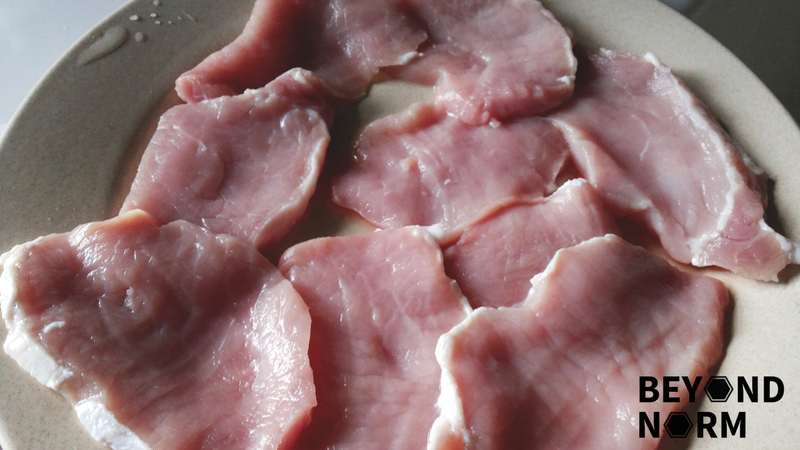 Arrange the pork slices in a single layer and set aside. 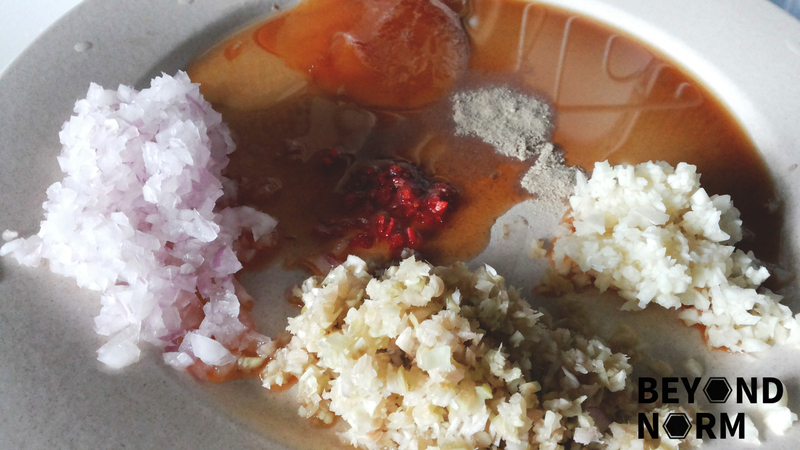 Combine the honey/sugar, fish sauce, lemongrass, garlic, shallot, chilli, and pepper. 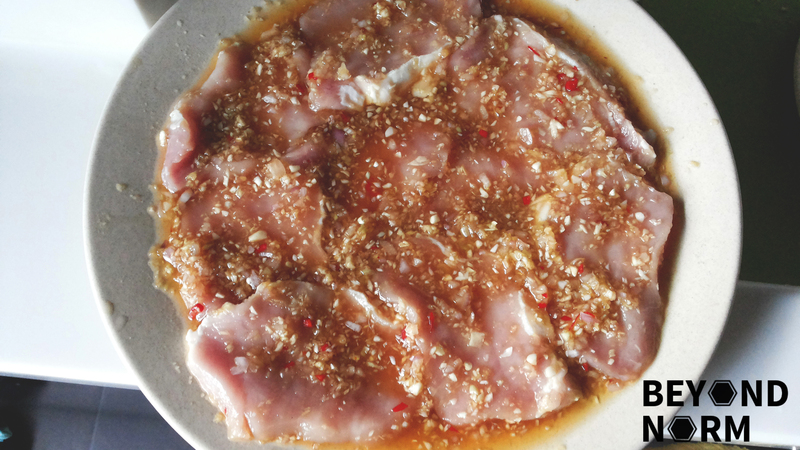 Pour the marinade over the pork and marinate at room temperature for at least an hour or overnight. Heat up a non-stick pan and add oil. Add the slices of pork and pan fry for 1 to 2 minutes or till meat is cooked through. Flip the meat over to the other side and pan fry for another 1 to 2 minutes or till meat is cooked through. Transfer the cooked pork to a serving dish. Pour in all the marinade into the hot pan and bring it to boil. 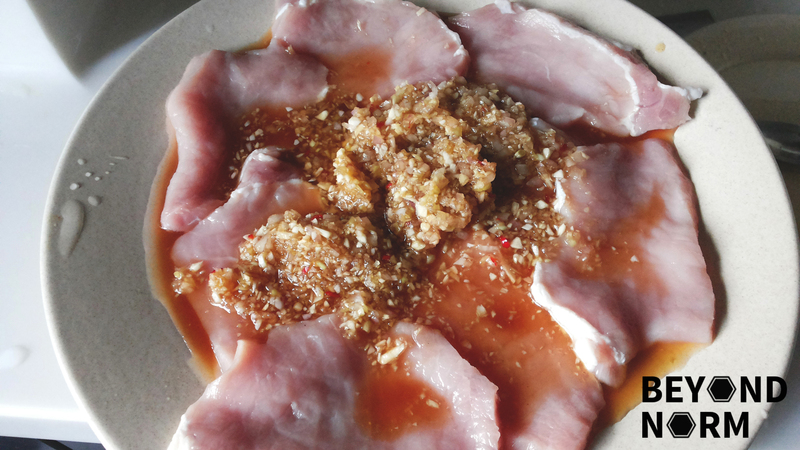 Once the sauce is boiled, pour it on the cooked pork slices. 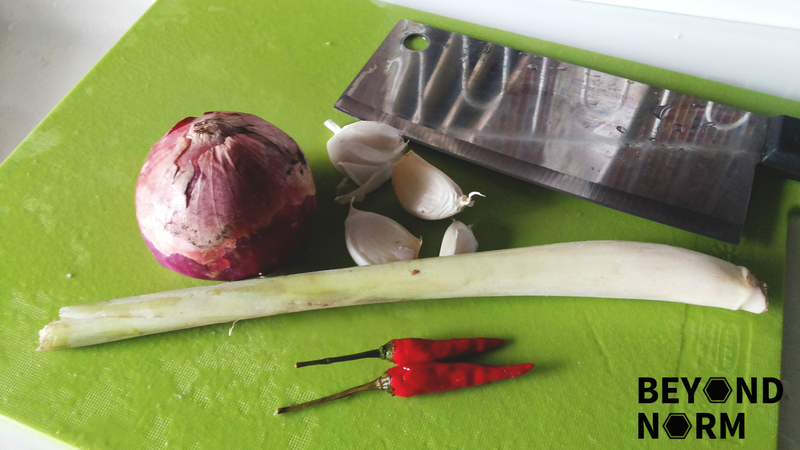 Garnish with coriander leaves and serve with steam rice and sliced cucumbers. Yes you can leave it in the fridge too. 🙂 Happy cooking!